Sienna rugs are a modern and contemporary style lover’s dream. Available in a range of colours and designs to suit every home, you will be spoilt for choice with this excellent collection. To create an eye-catching interior, just paired the bold oranges, blues and reds of these rugs to statement pieces within your room such as artwork, ornaments and throws. 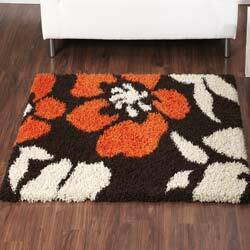 As well as being contemporary and stylish, the excellent quality of these rugs speaks for itself. Although we call them cheap rugs they are also colourfast, long-lasting and durable, which makes them excellent value for money.